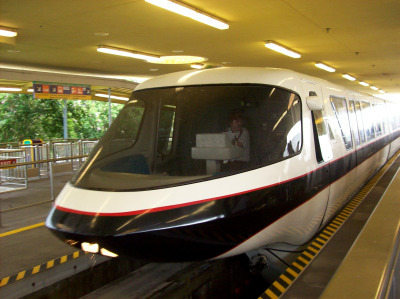 The Walt Disney World® Resort Monorail System will undergo refurbishment that will impact the Resort and Express monorail beams on select days in February and March. During these times, Monorails on the Resort beam will travel between Disney’s Polynesian Village Resort, Disney’s Grand Floridian Resort & Spa and Magic Kingdom® Park. Monorails on the Express beam will now make an additional stop at Disney’s Contemporary Resort as they travel between Magic Kingdom Park and the Transportation and Ticket Center. Monorail service will continue to be available from all stations while this work takes place. Monorail operating hours will remain unchanged. Guests may note a difference in the way they board the Monorail and should allow for additional travel time to reach their destinations. Guests staying at impacted Resorts will receive in-room communication upon their arrival. So, the only common station is at Magic Kingdom park. If you want to go to the Contemporary from The Polynesian, you will have to take the Resort Loop monorail to the Magic Kingdom, and either walk to the Contemporary, or get on the Express train that will go back through the Polynesian on it’s way to the Transportation and Ticket Center, and the Contemporary. The dates for this schedule are: February 9 – 12, 23 – 26 and March 2 – 5, 2015 from 11:00am to 7:00pm. Hopefully, this will mean smoother and more reliable service once all of the upgrades have been completed. Thanks for reading! Have a Magical and Blessed day, my friends! !